These beaded bracelets are handmade by the women of the indigenous Yawanawá tribe of Acre, Brasil. The sacred patterns, called Kēnē, come to them in shamanic visions and are thought to represent the vibration of the universe, the strength of the forest, the healing powers of the plants, and the heartbeat of the earth. Worn for wisdom and protection, each piece is truly a unique work of art, made to accompany its wearer at any given circumstance. They are very durable and can easily be slipped onto the wrist with soap and water. 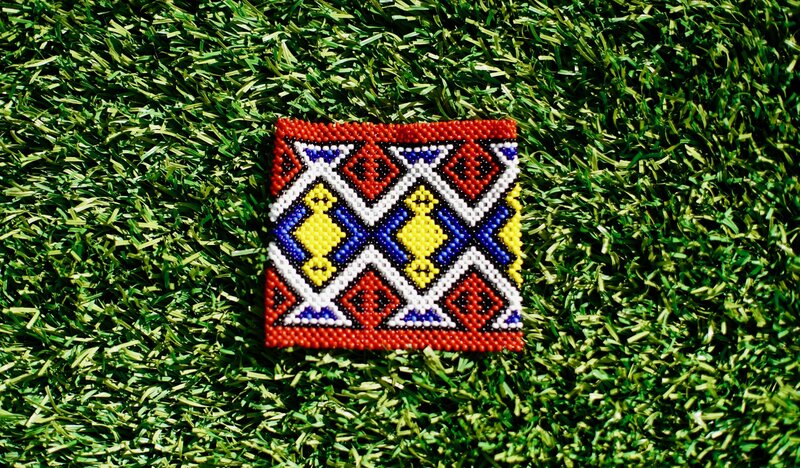 To support their work and empower their contribution, a portion of the sales will go directly to the women of the tribe. The remaining will go towards funding THE SPIRIT OF TATÁ, a documentary film of great importance to the Yawanawá people as it narrates the last days and final teaching of TATÁ - their elder shaman and gate keeper of the Yawanawá spirituality. Please watch the teaser for the film here.